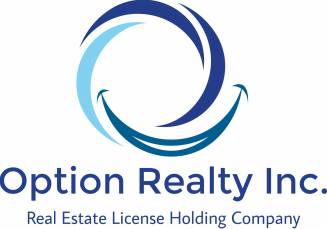 Our Clients - Option Realty, Inc. There are many reasons the timing might not be right today for you to sell real estate on a full-time basis. Most Agents/Brokers regret terminating their license. The real estate industry has experienced so many changes in the last 18 months - who knows what opportunity the future holds for you and your real estate license. If the timing isn't right for you, isn't it in your Client's best interest to refer it to a specialist?